Manufactured by Gaia Herbs, Gaia Herbs Adrenal Health is created to maintain adrenal glands functions and create ways to allow the body to better react to stress. This dietary supplement is also made with the aim of promoting adaptogenic response. This helps the system adjust with stress triggered by environmental, mental, and physical aspects. The company also touts that Gaia Herbs Adrenal Health has the right components not only to sustain the adrenal glands, but also the nervous system, immune system, as well as the inflammatory pathways. Furthermore, this product is part of the company’s System Support, one of their product lines. System Support usually has supplements that are for sustaining the body’s internal and external harmony. As mentioned, Gaia Herbs Adrenal Health is designed by Gaia Herbs, a company that invests in creating various health products such as Kratom. The company also made sure that ingredients in all their formulas are available for the customers to see. Gaia Herbs is invested in what they do. They also have information like bios of their employees. What’s the Science Behind this Product? Composed of natural herbs deemed to be potent in supporting adrenal functions, Gaia Herbs Adrenal Health stays on top as a dietary supplement. 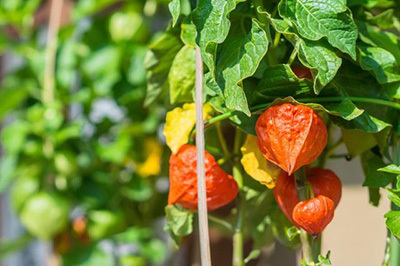 One of its significant ingredients is the Ashwagandha. This herb is said to ease symptoms of stress, panic attacks, bipolar disorder, depression, and dysthymia. It’s also comforting and impressive at the same time that this herb has undergone rigorous testing and has been proven to deliver positive effects. It was even revealed that it also has recuperative and antipanic properties. There’s also RhodiolaRosea, which is thought to contain adaptogenic properties. It assists in the body’s fight with physical, chemical, and environmental stress. Taking RhodiolaRosea will result in alleviated stress, anxiety, depression, and will even boost sexual capacities. Another ingredient in the formula is Wild Oats. Wild Oats is thought to be helpful because it has soothing traits for the brain and nervous system. It also has proteins, minerals, and B-complex. Ashwagandha (Withania somniferous): Believed to ease symptoms of stress, dysthymia, panic attacks, bipolar disorder, and depression. Rhodiola (RhodiolaRosea): Possess pathogenic traits that enable the body to combat environmental, chemical and physical stressors. Schisandra (SchisandraChinensis): Effective in reducing stress and develop the immune system. Wild Oats (Avena sativa): Has calming characteristics for the brain and nervous system. 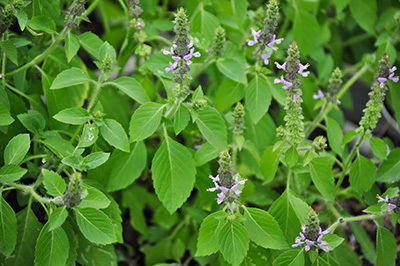 Holy Basil (Ocimum sanctum): Help in easing symptoms of respiratory and lung problems, fever, asthma, heart diseases, and stress. Appropriate for those who practice a vegetarian diet. Those in the forms of capsules are speedily absorbed into the body. The feedbacks online are generally good. If you order worth $49 or more, you get free shipping. There could be side effects caused by the main components in the supplement. The supplement is quite expensive. It is important to note that Gaia Ethnobotanicals Adrenal Health is not for pregnant women and breastfeeding mothers. If you have a sickness, it’s safer to ask your doctor first before proceeding. For safekeeping, keep it in safe distance from children. Also, keep in fresh and dry place to avoid natural separation brought by sunlight exposure. Take 2 capsules twice daily after eating. Instructions will also be up to your healthcare professional. The company hasn’t specified this. You can figure out on your own. Try it for a month and see how long it will take to make the results visible. Gaia Herbs Adrenal Health can be acquired directly from the site and third-party vendors like Amazon.com. For a single bottle containing 60 capsules, the price is $29. Avail 3 bottles of this for $85.17. For a single bottle containing 120 capsules, the price is $49.99. Avail 3 bottles of this for $143.97. Also, you get to have a 10% discount and freebies if you sign up for the recurring delivery service. As for interactions with other medications, the company hasn’t stated any information on the subject. Those who usually take this dietary supplement are healthy adults. As stated earlier, it’s not for pregnant women and breastfeeding moms. The reviews on Gaia Herbs Adrenal Health are pretty much uplifting. Most users testify to the efficiency of the product when it comes to letting you handle stress properly in your daily life. It seems Gaia Herbs Adrenal Health really helps people become more relaxed and happier in their lives. One testimonial mentioned about the difficulty of getting up in the morning as an effect, but he was generally pleased with the results. Based on the ingredients and the positive reviews from many customers, it would seem that Gaia Herbs Adrenal Health is the real deal in terms of sustaining adrenal function and enabling the body to efficiently respond to stress. This finalization was made after reviewing the components, which underwent rigorous study and research.